Djinn in a Bottle is a holographic top coat. For this manicure I layered 1 coat over 3 coats of KBShimmer 24 Carrot Bold with no top coat. In these photos I layered 1 coat of Djinn in a Bottle of 3 coats of KBShimmer Don't Pink Twice with no top coat. 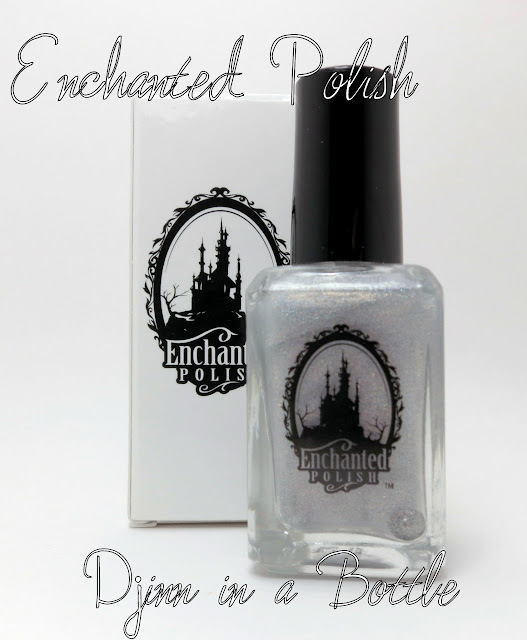 Enchanted Polish can be purchased through EnchantedPolish.com or internationally through Norway Nails. Make sure to follow Enchanted Polish on Facebook, Twitter and Instagram! She was some more beautiful colors coming out soon!